Mon - Fri: 8AM - 5PM | Sat: By appt. New 2017 Model Year Trucks Expected in Q1 2017. 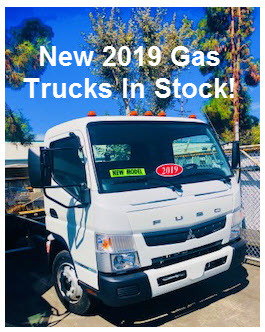 Diamond Mitsubishi Fuso is a Kunde family owned commercial truck dealership established in 1967. The dealership facility is centrally located in the heart of Silicon Valley near the San Jose International Airport. 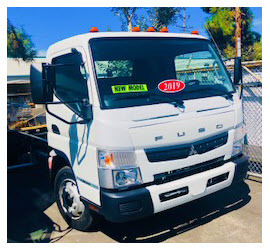 In 1989 Diamond became one of the very first west coast Mitsubishi Fuso truck dealerships and remains one of the very few that has withstood the test of time. Diamond specializes in Mitsubishi Fuso Commercial Trucks while performing repairs and maintenance on all makes and models of trucks. A wide range of rental & lease trucks 14ft to 30ft are also offered. Product support is provided with a 19 bay full service shop and large warehouse loaded with parts. Their well trained and knowledgeable staff is loaded with more experience than just about any dealer in the country. Countless awards have been won by the sales, parts and service departments including 5-time Dealer of the Year Award. Now with over 50 years of integrity selling Diamond remains one of the top Mitsubishi Fuso dealers in North America year after year.